Little Sun is a product developed by artist Olafur Eliasson and engineer Frederik Ottesen. The video lays it out better than I can, but effectively, they have created a beautiful, functional, and affordable light source to replace the dangerous and unhealthy kerosine lamps that many people in developing nations rely on. In a TOMS-like business model, they’re offering it for sale at a reasonable price in the states — $25 — so that they can release it for much less in third world countries. I love the idea of an art object produced with love and given as a gift to those in need. Okay, the whole Santa Claus shtick was fake, but this is pretty amazing. Disney Research has come up with technology I definitely don’t understand that can recognize a world of touch gestures … and not just on a screen. They call it Touché, and it’s one of the most incredible technologies I’ve ever seen presented in a very un-incredible video. Watch the video. Be amazed. Also, be amazed that the best application they could come up with was teaching kids not to eat cereal with chopsticks. 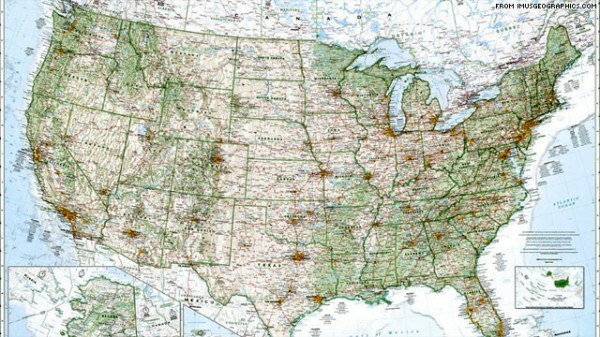 Well, you can add this Map of America to my “I will own this at some point” list. Well, I know what I’m asking Santa for this Christmas. My very own Chia Obama. I’ll display it on my desk, because it says I’m proud to be an American. Are you a designer? Do you work in Photoshop? Do you want to make your life 415% easier? 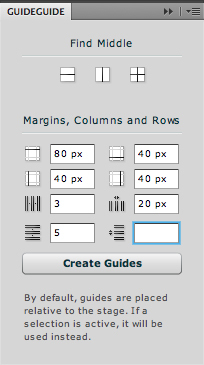 If you answered yes to the above, run (don’t walk) to download GuideGuide, a grid-making Photoshop plug-in by Cameron McEfee. I use this constantly to create web design comps. It’s seriously sped & cleaned up my work exponentially. GuideGuide: Don’t Open Photoshop Without It. PS: If you have any “Can’t live without ’em” plug-ins for CS, please share!